A wonderfully complex mixture of red, orange and bright Virginia tobaccos, exotic Oriental leaf, and just a whisper of Perique. The flavor is naturally sweet, slightly nutty, delicately spicy and rich. Subtle citrus-like notes harmoniously support the more robust flavors of the darker Virginias. 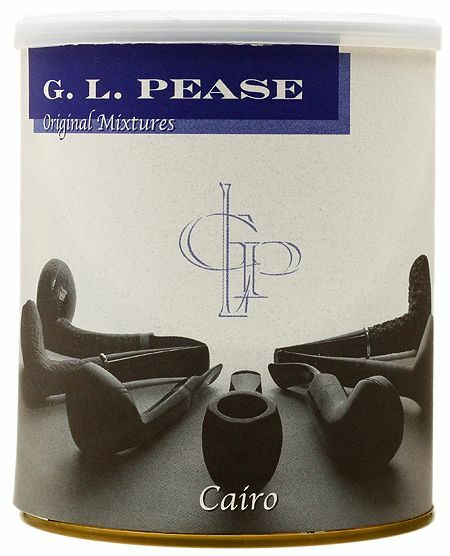 Cairo is a medium bodied but very satisfying tobacco with a delicate aroma that will be enjoyed by Virginia lovers and the connoisseur of oriental mixtures alike.